Maxpay has built a payment service with merchants’ needs in mind, so risk management and chargeback minimization tools are built into the PSP solution. For this functionality, Maxpay relies on services by Covery, whose solution, when implemented, helped some of their clients reduce fraud by up to 95% and noticeably reduced their chargeback rate. 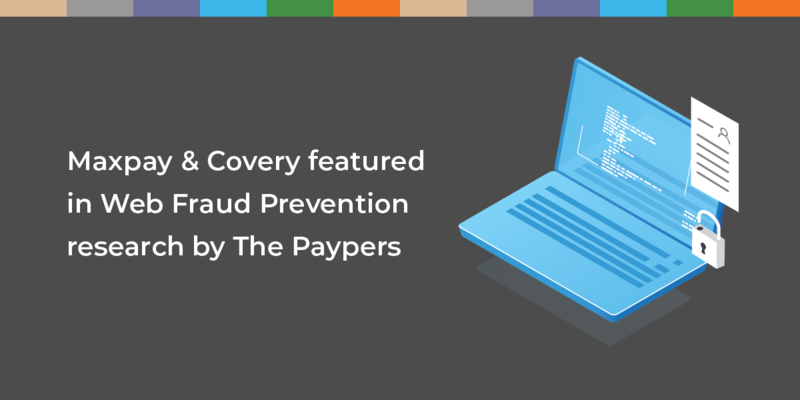 In a recent thought leadership article, Covery has been featured in The Paypers research report, a leading European source intelligence for professionals in the global payment community in their Web Fraud Prevention, Identity Verification & Authentication Guide for 2018/2019. This post explores which web fraud prevention topics the report covers and for whom they may be relevant. In a nutshell, online fraud prevention discussion will remain current as long as the tension between hassle-free customer service for online shoppers while managing risk and preventing bad actors remains. Consisting of three sections, the report offers insights from the opinion leaders in the trenches, namely the acquirers, card issuers, regulators, service providers, merchants, as well as auditors and journalists who specialize in payments. In brief, below are the key takeaways we have found to define the report sections. Report’s first section covers the role of innovation in fraud detection and prevention, as well as shares the best practices in general and specifically within the e-commerce and banking verticals. One key insight in this area is that the majority of fraud prevention experts (Ralf Gladis of Computop, Mark W. Hall of CyberSource, Pavel Gnatenko of Covery) had agreed that an effective fraud prevention solution needs to rely on machine learning approaches for anomalous behavior detection combined with rules-based approaches developed by human risk experts based on their industry insights. Together, the two help detect new fraud patterns without turning down legitimate customers. One particular application area where machine learning is already delivering results is the authentication step. As account opening, account takeover, and other innovative types of fraud are on the rise, identifying fraudulent behavior originating from legitimate accounts is becoming important to get right. Here, machine learning techniques applied to large volumes of customer action data help greatly increase the accuracy at this crucial step of the relationship with the customer. The second section highlights the developments in digital identity verification, as more and more of the customer interaction moves online. Unifying three similarly sounding, but separate processes, this part of the report reviews solutions for identity verification (confirming that the person actually exists), identity validation (evaluating the documents) and identity authentication (granting access to the right person). Especially relevant for those looking to catch up on the implications of the regulations in the European Economic Area in this area (GDPR and PSD2), the transition to 3D Secure payments and the currently available tools that use biometrics, this section features advice on staying on the regulators’ good side and solving the issues caused by the use of passwords alone. Stereotypically paperwork-heavy and time-consuming, the near future of customer onboarding process for a slew of financial services will be online, paperless and automated. The third section of the report digs into the reasons why about half of all customers don’t complete online onboarding and offers advice on how to simplify the process making it more customer-centric, without compromising security. elements increase, businesses old and new that are able to leverage them will to meet the unique needs of customers will gain an advantage. As the 251-page report demonstrates, the field of web fraud prevention is vast and complex. For those not able to invest the time to investigate all of the intricacies the report features easy-to-read infographics and feature mapping charts for making sense of the entire ecosystem. The infographic features industry leaders in each of the relevant sub-verticals, with Maxpay listed along with Computop, CyberSource and iSignthis as payment service providers with leading anti-fraud, authentication and identity verification capabilities. Given the relevance of web fraud prevention, it is surprising that many PSPs do not offer such capabilities built-in, and we are pleased to see the importance of our efforts in this field recognized by The Paypers research. Fraud prevention is not effective without insights from the people whose job depends on accurately detecting and effectively fighting it. This is why forward thinking in this area is found among fraud management, digital identity, and online authentication professionals. 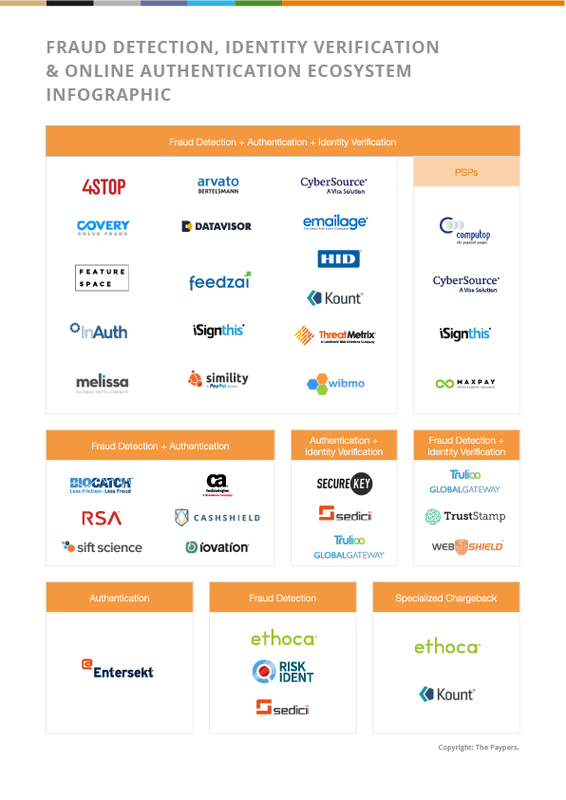 The Paypers have done a fantastic job of distilling the latest trends in fraud prevention, and the report serves as a great resource for anyone interested in the topic. We highly recommend that merchants, payment services providers, processors, financial institutions, start-ups, technology vendors and payment professionals interested in fraud prevention innovations and trends download the report and gain valuable insights from it. Download the full report by filling out a form on The Paypers website.